"Enemy of Life on Earth"
To my many liberal friends: Want more Republicans in Congress? Want Trump to be reelected to a second term? Then, keep doing these silly total freakouts completely out of proportion to the facts of a situation. 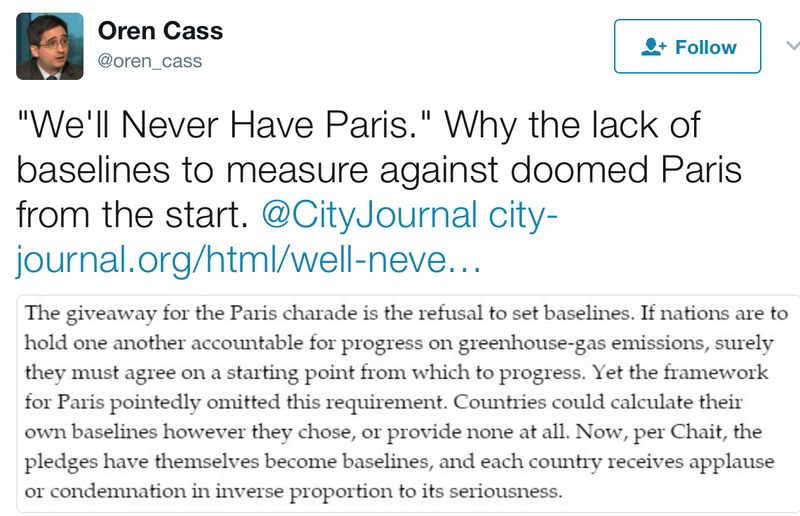 The Paris Agreement was a joke that even Dr. James Hansen condemned. Trillions, yes, trillions of dollars for almost no positive effect. 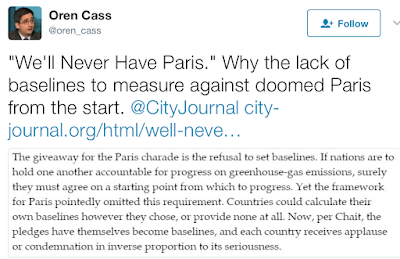 0.01°C of averted warming? We can’t even measure that amount. My point is the freakout over Paris today, and, all these others (Russians "hacking" the election, the money to the Saudi's, pussyhats, etc.) are doing nothing but reinforcing the people who voted for Trump. They think you are crazy. Trump made a cogent, reasonable speech today. You may not have liked its content, which is fine. But, when statements are made like the one at the top of this posting, you come across as crazy to moderates and conservatives. Very well stated. I've never seen the opposition become so unhinged since the day Trump was elected. Thank you, Mike, for continuing to remain a voice of educated reason. I have been in the electric vehicle business for over 20 years, and agree with pulling out of the farce that this (non biding) agreement was. The Paris climate accords were a terrible deal - it would have imposed vast costs on America, undermined our economy, cost U.S. jobs and let major polluters like China off the hook for decades while doing almost nothing to help the environment. The U.S. is already a leader in clean energy, having reduced CO2 emissions 12 percent in the past decade. We can do so much more with the $100 bil that the US would have had to spend for other countries getting a free pass. We can be more sustainable with our own agreement. Don't be so quick to criticize- So glad we are pulling out of this bad deal. Let's free up the American economy to produce more and cleaner energy without these one-sided, job-killing global restrictions." Not to mention that Obama entered this deal illegally without required approval of congress. The solutions we need for to clean the air will happen in a more efficient way!